"I like being a woman, even in a man's world. After all, men can't wear dresses, but we can wear the pants." I have never been a big fan of culottes. I always loved the way they looked on other people but didn't think I could pull them off because one, I'm short so I felt like it would make me look shorter, and two, I don't usually like wearing pants. But thanks to Casa La Deesse, I absolutely fell in love with them. It could just be that the ones I'm wearing but the length is perfect and they're just super comfy! I decided to go more with a edgy look with my culottes by pairing it with my (all time favorite, I'm always wearing) moto jacket and a knit crop top. I wasn't sure as to what kind of shoes I wanted to wear with it though. I was thinking of going more towards a strappy sandal but my Stuart Weitzman Nudists are so high that sometimes they're a little uncomfy to wear (they are definitely not walking heels, that's for sure!). So I went with my Badgley Mishcka Rouge shoes to add a bit of girly-ness to the look! I love to be girly and edgy at the same time, it feels more balanced to me. After wearing these culottes, I can say I actually really love this styled pant. I was so iffy about them at first because I honestly thought I couldn't pull them off! Thank you Casa La Deesse for these4 beautiful culottes! Disclosure: I was sent the Casa La Deesse culottes for review, but all opinions are my own. Those culottes are fab and you look great rocking them, I need to get more culottes! 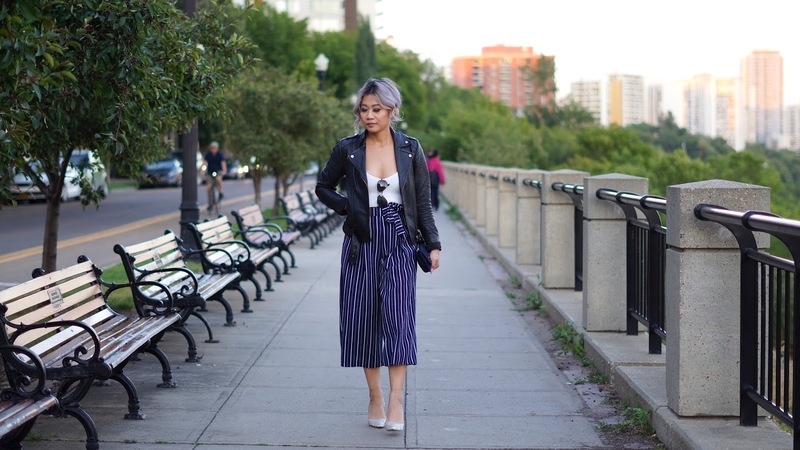 You can totally pull off culottes! I love this more edgy look with the leather jacket. 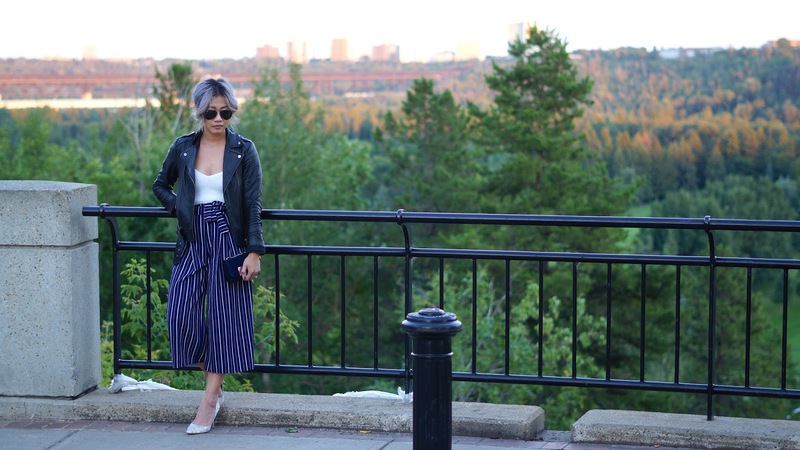 I LOVE how you've styled your culottes! Amazing post! Those pants *_* ........... wonderful! The culottes are so fabulous. You styled them so beautiful. Love the pants and how you styled them, gives me some styling ideas. What a lovely outfit! You culottes and hair are amazing!